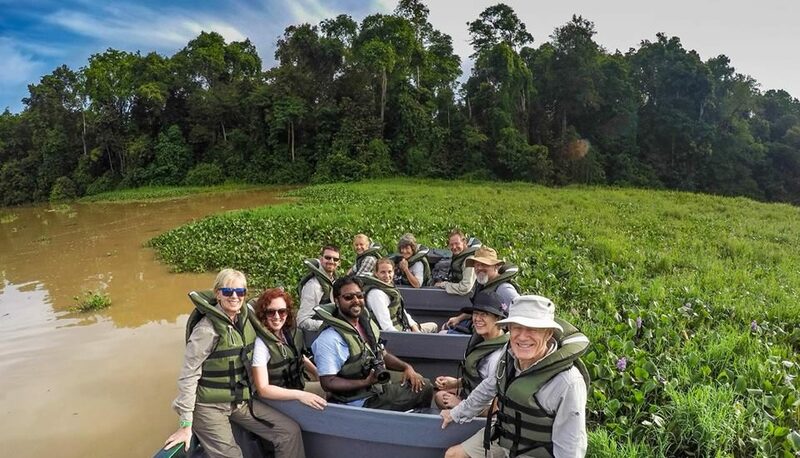 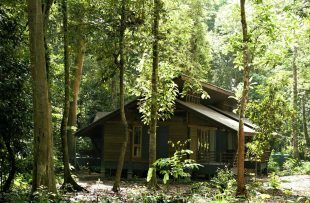 Wildlife cruises down the Kinabatangan River are an unforgettable experience and the mainstay of any Kinabatangan adventure. 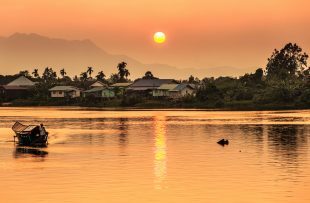 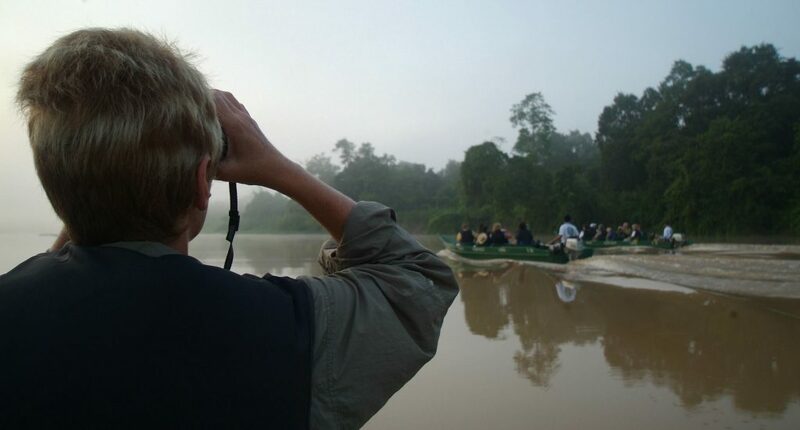 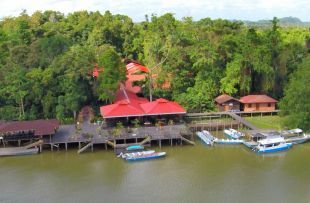 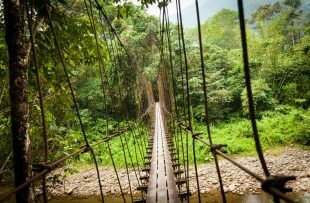 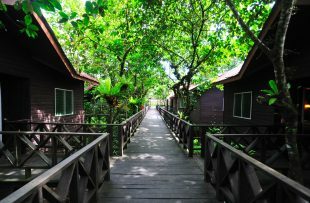 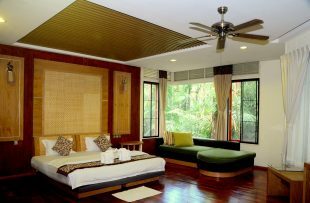 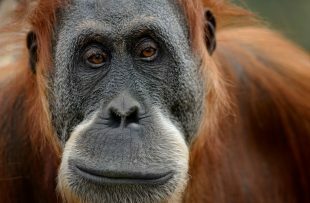 Binoculars at the ready, opportunities for wildlife viewing won’t take long and top spots include proboscis monkeys, monitor lizards, giant crocs, long tailed macaques and orangutan swinging effortlessly through the towering trees. 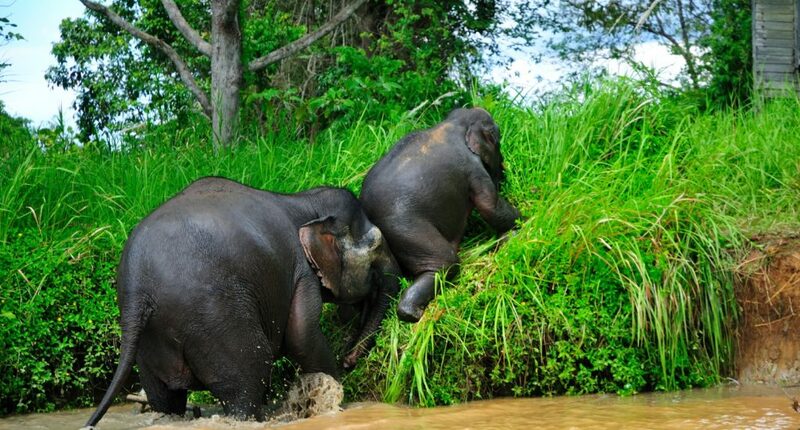 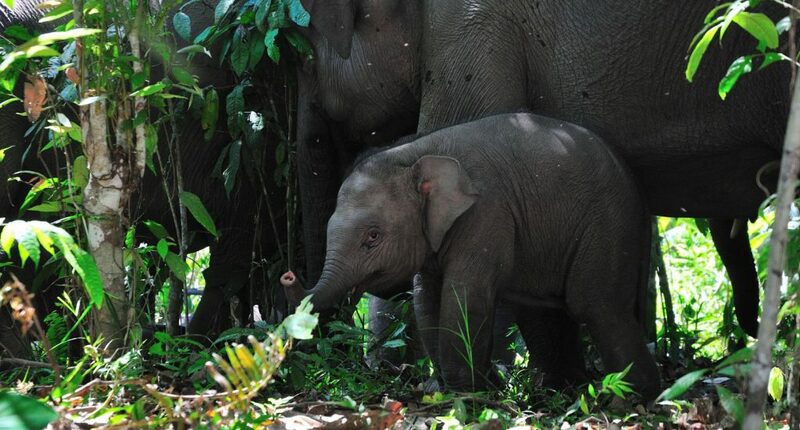 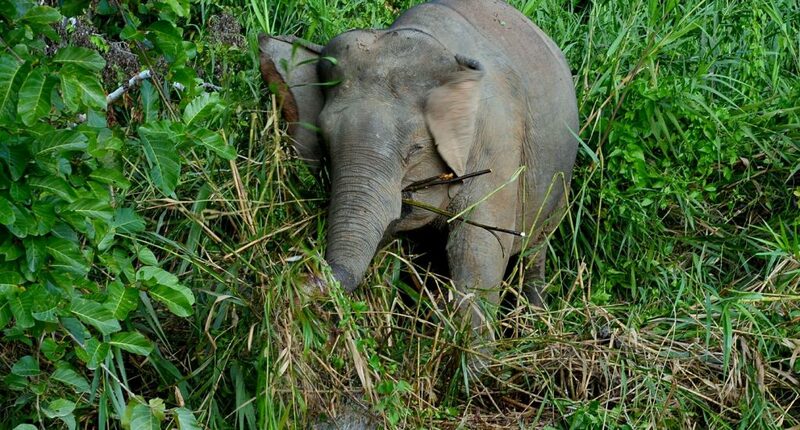 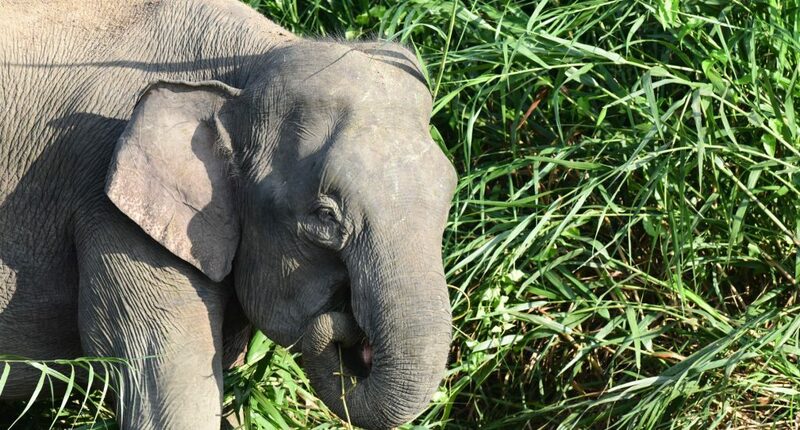 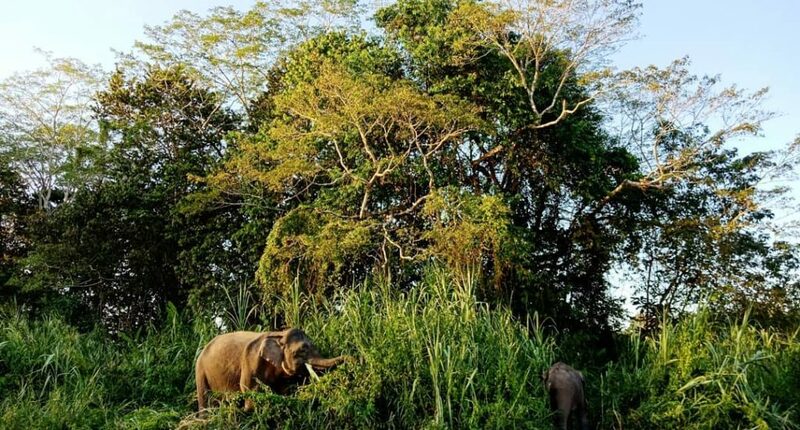 If you’re lucky you may also spot the shy Bornean Pygmy Elephants. 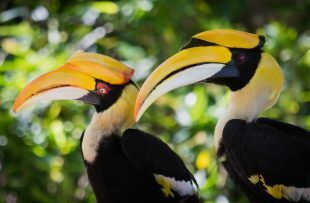 Twitchers will be rewarded with some incredible sights of rare colourful birds, as well as a chance to spot all 8 varieties of Borneo’s hornbill. 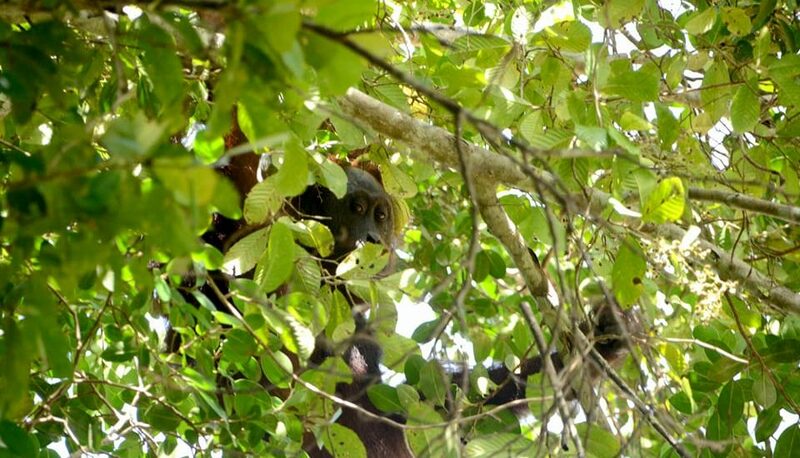 The best months for avian wildlife are the rainier months of October to late March. 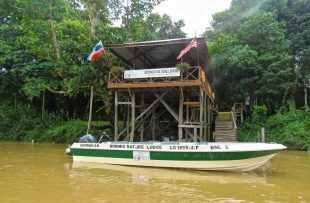 Evening cruises offer the chance to see the trees lit up by the fireflies and crocs hunting from the shores.